The Northern Light Eastern Maine Medical Center Auxiliary’s annual Beach Ball at Bangor’s Cross Insurance Center in January 2014. When five women in Bangor started the Women’s Hospital Aid Society in 1893, what is today Northern Light Eastern Maine Medical Center was just one building that had opened the previous year as Bangor General Hospital. Those five women set to work raising money to help along the hospital’s growth and aid the patients it treated. Today, that same group is the Northern Light Eastern Maine Medical Center Auxiliary, a group of 262 men and women who have raised $3.6 million for the Bangor hospital in 125 years. On Saturday, the auxiliary will celebrate its 125th anniversary with “A Toast to the Times” at the Bangor Arts Exchange. The original society raised funds for basic materials the hospital needed, providing armchairs, cameras, cribs and rocking chairs that added human touches to a clinical world. The society also helped pay for construction, renovations and laundry services. One of the society’s first projects was raising money for the addition of a children’s ward, as adults and children were treated in the same room. Fundraising started in 1902, and the new ward opened Jan. 1, 1910. It was the start of a century-long effort to raise money for children’s care in the hospitalThe auxiliary has raised more than $1.5 million to pediatric services in its 125 years. Women’s Hospital Aid Society members used bake sales, dances and teas for their early fundraising. They also sent envelopes to churches to collect donations every year on the second Sunday of May, Hospital Sunday, a practice that ended in the late 1930s. Around that same time, the aid society changed its focus. It disbanded in 1939 and returned the next year as an auxiliary. Instead of raising money for rocking chairs and cribs, the group’s fundraising focused on more advanced equipment such as incubators. Over time, that focus evolved into raising money for major hospital expansions, including the building of the new Neonatal Intensive Care Unit, Pediatric Intensive Care Unit, Open Heart Surgery Program, Coronary Care Unit, Digital Mammography and the Raish Peavey Haskell Children’s Cancer and Treatment Center. Auxiliary fundraising also goes to scholarships for local nursing students. The way the auxiliary raises money has also changed. 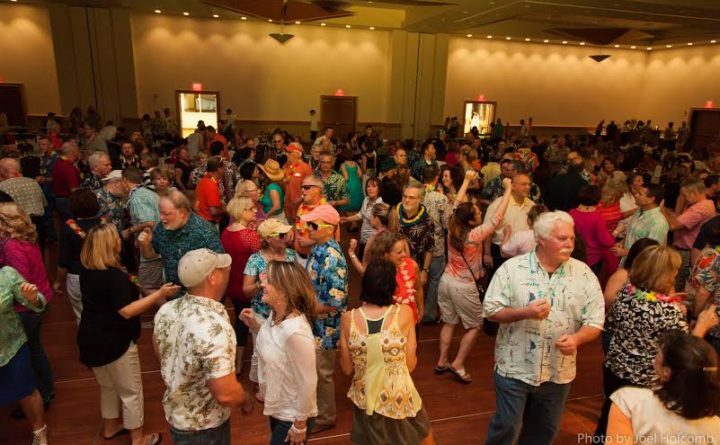 The auxiliary in more recent decades has raised much of its money from hosting larger events such as “The Follies,” a Broadway- style performance held from 1972 to 2001; the annual Kitchen Tour, which the group has held for 14 years; and the annual Winter Beach Ball, which has been happening now for 12 years. The Kitchen Tour in October netted $9,000 toward the auxiliary’s fundraising campaign to the Neonatal Intensive Care Unit. In the hospital, auxiliary members stock the kitchen on the pediatric floor, provide Christmas gifts to patients and sing carols at the Ross Manor nursing home in Bangor with the Bangor Area Children’s Choir. “A Toast to the Times” takes place from 6-10 p.m. Saturday at the Bangor Arts Exchange, 193 Exchange Street. Tickets are available by calling (207) 973-5055 or online at www.emmcauxiliary.org. Correction: An earlier version of this report misspelled Helen Genco’s last name.